This is a rare Geisha varietal – only the fourth Panama Geisha Auromar is a coffee that should be enjoyed by itself. The coffee is multi-layered and complex with flavors showing up differently throughout the temperature range… so keep tasting as the coffee cools. Lush tropical flavors of mango and mandarin orange with a bergamot spice note. Named for the village in Ethiopia where it was first discovered, this varietal was discovered in Gesha, Ethiopia in 1930′s, and made its way to Panama in the early 1960′s. In the discovery of Roberto Breenes coffee, we taste first-hand his love and attention. 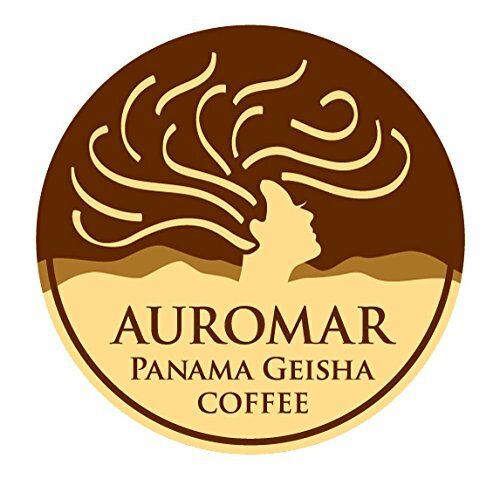 Auromar Geisha provides us with complex flavors that are highly concentrated. The sugars produced make for a sweeter acidity and rounder richer notes that are on the tropical side. We add a delicate roast to coax out those flavors and make this coffee pop in the cup. The experience is a lush rush of mango and mandarin orange with a bergamot spice character. The coffee is multi-layered and complex with flavors showing up differently throughout the temperature range. It sings in the cup and needs no accompaniment. Details: Producer: Panama Auromar Geisha comes from farmer Roberto Breenes and his farm Finca La Aurora. Elevation: 1,575 meters (5,160 feet) Region: Panama (Central America) Processing Method: Honey Washed (semi-washed) Tasting Notes: Lush tropical flavors of mango and mandarin orange with a bergamot spice note.